While the company and its soft-spoken CEO have prompted the idea in past ad campaigns and off-the-cuff interviews, the verdict is unfortunately still out as to whether or not Apple’s iPad Pro is indeed a suitable laptop replacement. One thing is certain, regardless of what the pundits say, though: Cupertino has been churning-out increasingly powerful, capable and compelling iPad lineups, year-after-year, which only persist to blur the lines of how PC-power, laptop portability, and cutting-edge features can blend together so harmoniously in an “all-day, take-anywhere” form-factor. And it’s worth pointing out that the 2018 iPad Pro models come very close — if not exceed, in some cases — the performance and capabilities of several high-end PC desktop configurations. Having spent the weekend with Cupertino’s latest 12.9-inch iPad Pro, we can safely say it represents the best-yet — and likely the closest-ever — shot the company will take at blending a traditional PC and tablet user experience. Read on to discover 5 key ways Apple’s 12.9-inch iPad Pro (2018) could be your perfect laptop replacement. 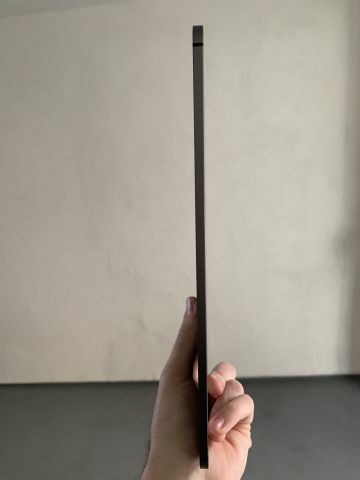 Apple went back to the drawing board with its latest iPad Pro models, and both the new 11- and 12.9-inch variants borrow design hues mainly from the company’s iPhone X. 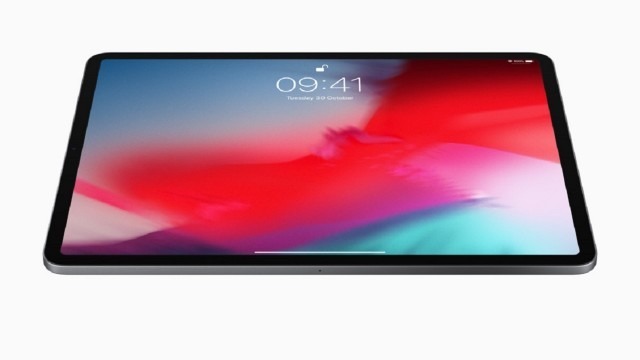 Accordingly, not only do the new iPad Pros feature nearly edge-to-edge displays with ultra-thin bezels surrounding them on all sides, but they also do away with Apple’s iconic Touch ID-enabled Home button, rendering the new slates essentially a giant, absolutely immersive screen that you truly have to hold in your hands to appreciate! 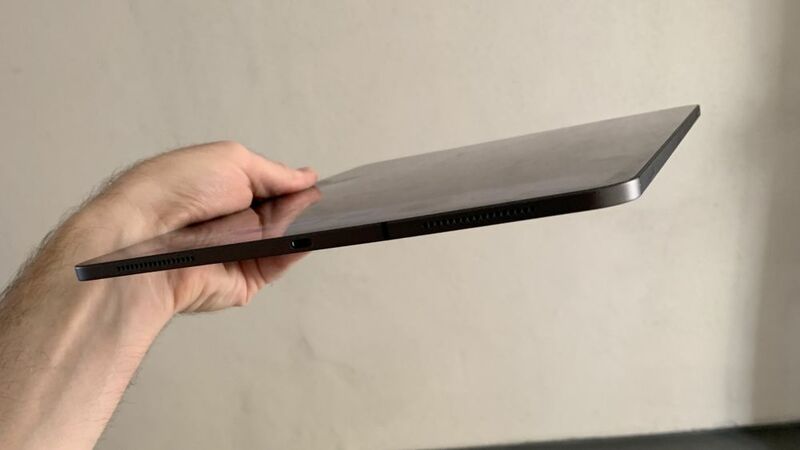 Apple was also able to significantly reduce the 12.9-inch iPad Pro’s physical footprint — by a generous 25 percent — in relation to its predecessor while slimming the chassis down to an astonishingly thin 5.9 mm. 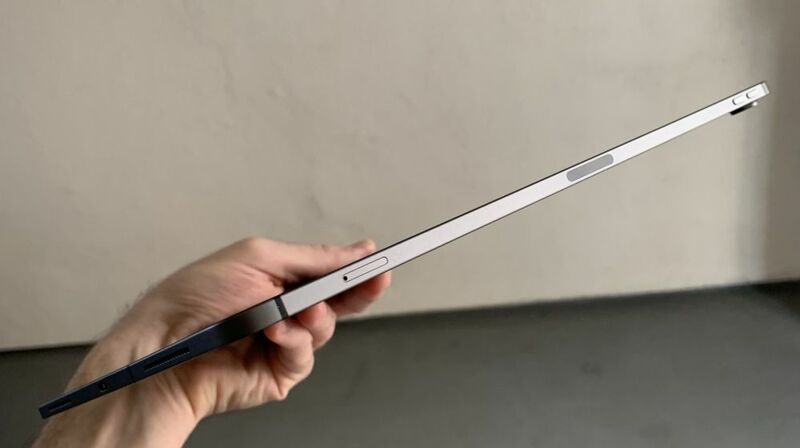 The body, itself, also underwent a significant redesign, borrowing more aesthetic elements from the iPhone 5 and 5s including flat aluminum backs featuring soft, curved corners and boxed edges (as you can see in the photos below). 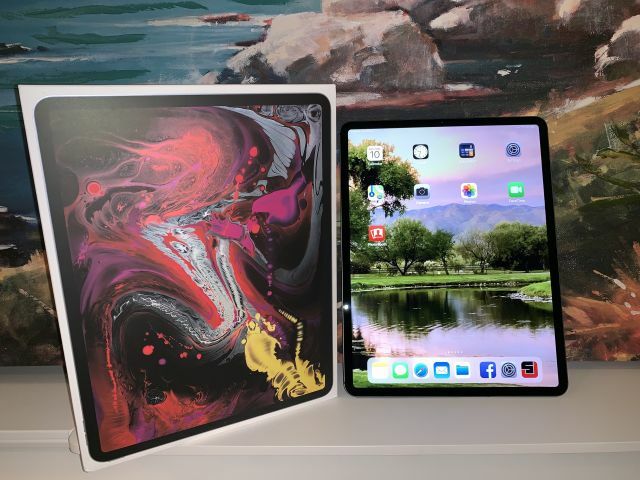 The new 12.9-inch iPad Pro’s refined form-factor also weighs in at 1.39 pounds, which, although just slightly less than its predecessor, results in a device that’s much more comfortable to hold, comparatively speaking.